In the age of the customer, your customers decide how customer-centric your company is. 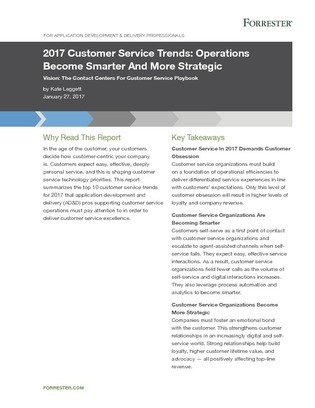 Customers expect easy, effective, deeply personal service, and this is shaping customer service technology priorities. Click inside to learn 8 more.